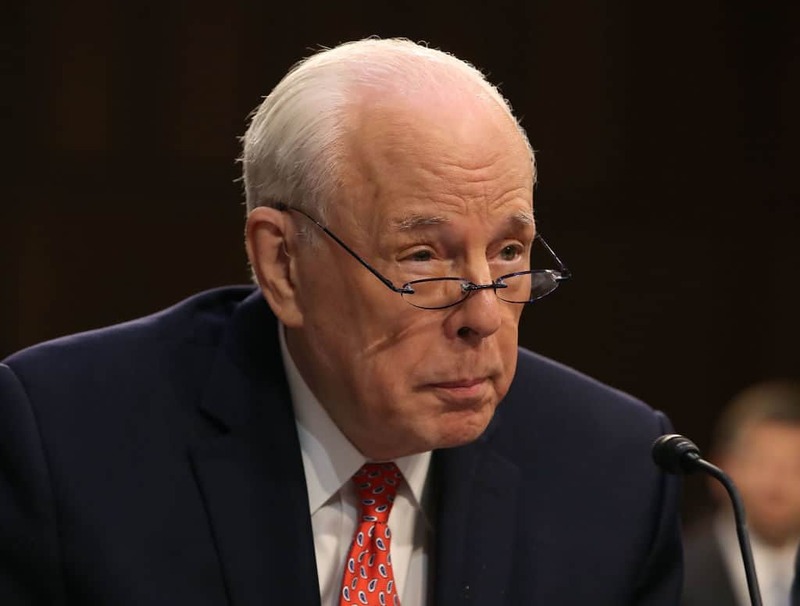 John Dean, the former White House counsel to Richard Nixon during the Watergate saga in the early 1970s, believes that there are reasons to doubt Attorney General William Barr’s letter to Congress regarding the two-year Russia investigation led by special counsel Robert Mueller. Dean, speaking as part of a panel on CNN, expressed a belief that Barr may be keeping some aspects of the Mueller report hidden, specifically parts that are meant to protect President Donald Trump from looking bad. “He put a little lipstick on something that might’ve been fairly ugly,” Dean explained, per reporting from HuffPost. Barr released a letter on Sunday evening summarizing Mueller’s key findings from the investigation. While Mueller didn’t find evidence of collusion between Russia and the Trump 2016 presidential campaign, Barr wrote, the special counsel was less conclusive on the matter of the president obstructing justice during the inquiry. “While this report does not conclude that the President committed a crime, it also does not exonerate him,” Mueller wrote in the final report, according to Barr, who quoted the special counsel in his letter to Congress. While Mueller didn’t make a determination one way or the other on the matter, Barr, in his letter, wrote that no charges would be brought against the president from the Department of Justice. Dean expressed doubts over Barr’s letter. “I have some suspicions that the reason he boiled this down the way he did is because it’s not very attractive,” Dean said. Dean also wondered aloud over whether Mueller’s refusal to delve into possible obstruction charges stemmed from the DOJ’s inability to do so, based off a longstanding policy (though not a law or mandated rule) in the Justice Department that forbids investigators from seeking such charges. In a joint statement, Speaker of the House Nancy Pelosi (D-California) and Senate Minority Leader Chuck Schumer (D-New York) called for the full and public release of Mueller’s report on Sunday, following the publication of Barr’s letter.